OnePlus Blind Test Get Unlimited Referral Trick to Get Free Prizes. 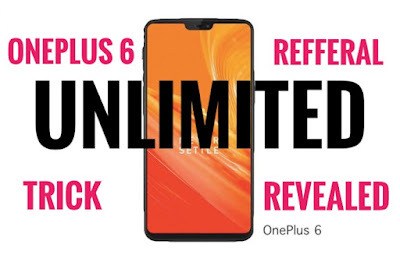 Invite and win the OnePlus 6 Share this Blind Test with your friends and you can take home a OnePlus 6. Click on Architecture, Low light, Low light portrait and portrait > Vote for 1 image in all categories. Scroll down > Click Lucky Draw > Start. You have 5 chance to try your luck and you might win OnePlus merchandise.